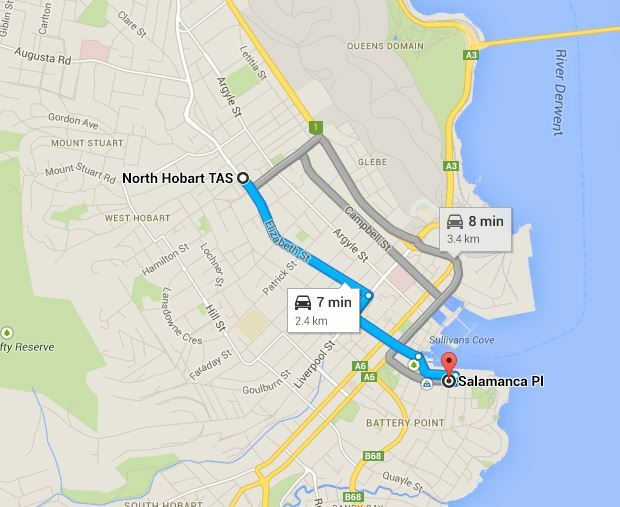 Hobart has some great places to eat and refuel. You can't go wrong eating at any of the restaurants in Salamanca (& surrounding areas) and in fact, if you are not careful, can easily spend more time there than on your bike. It's not hard to end up eating breakfast, lunch and tea in the area although North Hobart's restaurant strip is also worth a look.